Plans to build a £250m trolley bus network in Leeds have been rejected by the government. The Department for Transport (DfT) accepted a report from a planning inspector who said the scheme was "not in the public interest". Councillor Judith Blake said the city had been "let down" by the decision. The DfT said its £173m contribution towards the project would be used on other public transport schemes in the city. 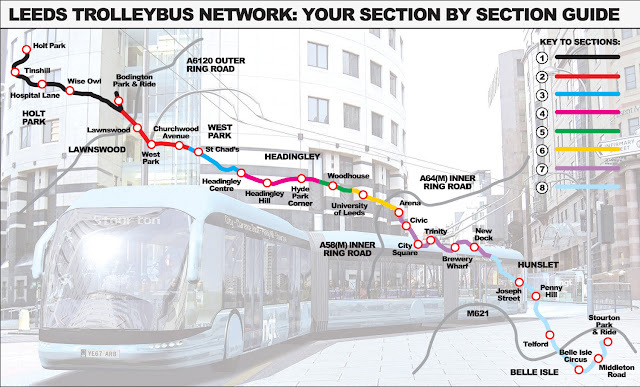 The proposed project, known as the Leeds New Generation Transport (NGT) scheme, would have seen a nine-mile (14.8km) route built from the centre to the north and south of the city. In his report, the planning inspector accepted there "was a strong need to improve public transport in Leeds". However, he added "the applicants have not demonstrated that the scheme would meet key objectives of supporting significant economic growth, reducing congestion and greenhouse gas emissions, or enhancing the quality of life in the area it would serve". The report also said the public inquiry into the scheme had received more than 1,700 letters of objection - "the most ever in decade". Ms Blake, Labour leader of Leeds City Council, said the delay in making the decision had been "very frustrating". "Leeds has been let down by successive governments in Whitehall on transport - first Supertram and now with NGT," she said. However, Ms Blake was grateful the city was still getting some help with other infrastructure projects. 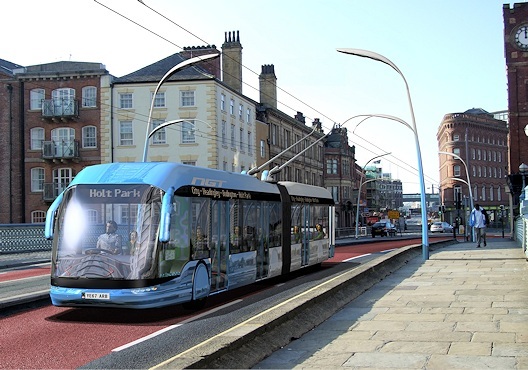 "I'm pleased Leeds will still be allocated the funding and look forward to working with our partners to bring forward the public transport improvements Leeds so desperately needs as quickly as possible."